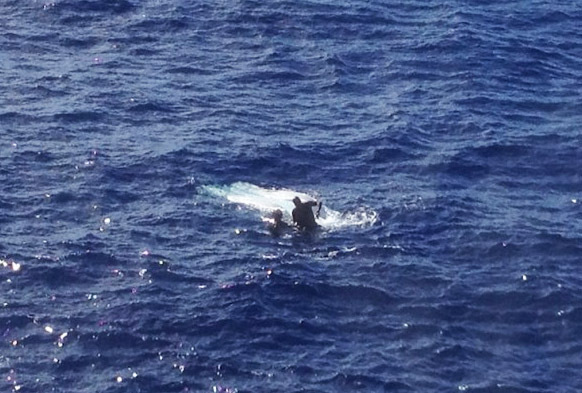 Tuna Capsizes Boat Hawaii - Big Yellowfin Flips Boat, Man and Fish Recovered! Home / Big Yellowfin Flips Boat, Man and Fish Recovered! 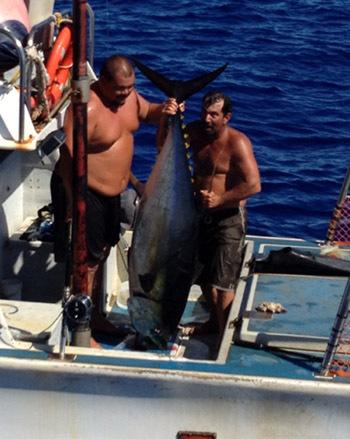 A local Hawaiian man was out fishing in his 14-foot boat when he hooked a very large yellowfin tuna. Somehow during the battle that ensued, the boat flipped over, during which his leg was entangled in the line. He was being pulled under, but managed to get free of the line and get back on top of his overturned boat. Luckily he was able to use his cell phone to call his wife, who in turn mobilized the USCG. A helicopter found him and lifted him to safety, while his friends came out to get his boat. While righting the small boat they realized the tuna was still hanging on the line. How lucky can one man get, he didn’t die, got his boat back and still got his 230 pound tuna!